You may have noticed in yesterday's post... I finished my Lazy Katy shawl! 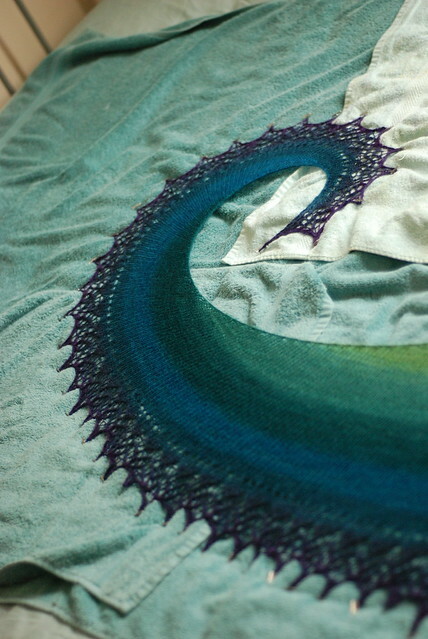 This shawl was just so quick, I could hardly believe it. The center stockinette portion just flew by, and the lace border was pretty simple as well. The crochet bind off was a bit tricky -- luckily, there's a video on YouTube that explains it well. 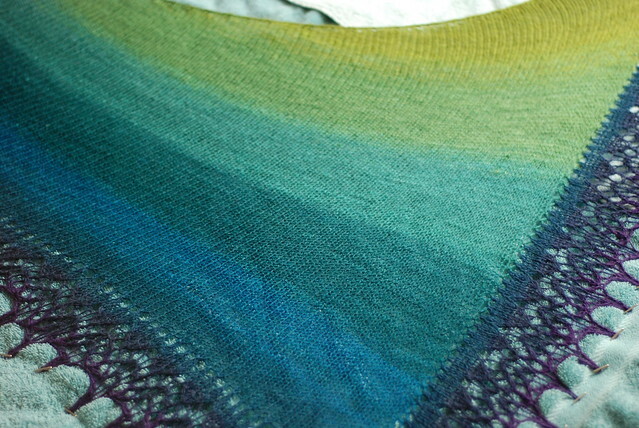 I upsized this shawl by quite a bit -- you're meant to knit to 153 sts before the border, and I knit up to 234. However, I did use smaller needles (I used 4s when the pattern recommended 8s). It did turn out bigger than the pattern as written, but not huge.